Addressing the concluding session of a two-day workshop of the Bharatiya Janata Yuva Morcha, he urged young party workers to contact the "22 crore" beneficiaries of the public welfare schemes of the Modi government and establish personal relationship. Amit Shah said BJP will get a bigger mandate than it got in 2014 if workers reached out to the people. 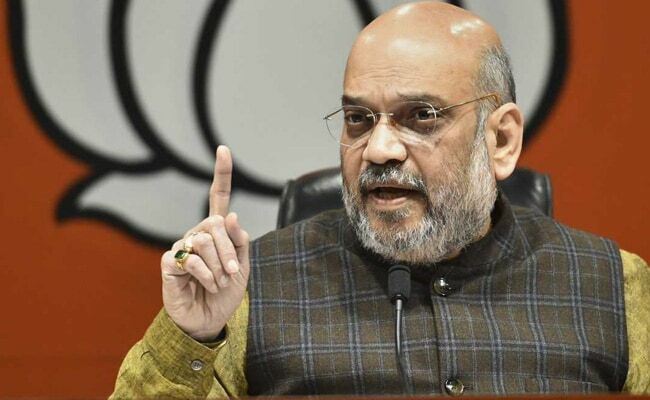 BJP chief Amit Shah said Sunday that no 'gathbandhan' or 'maha gathbandhan' (alliance or grand alliance) can come in the way of the BJP achieving its agenda of inclusive growth. 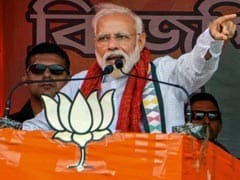 "If we manage to contact the 22 crore beneficiaries, the BJP will get a bigger mandate than it got in 2014," he told them. The workshop was attended by nearly 1,000 BJYM members including national office-bearers, state presidents and district presidents from all states. The focus of the workshop was to design a strategy for BJYM workers, right up to the mandal level, to reach out to voters in the run up to the 2019 Lok Sabha election. Various sessions were held on organisational management, dissemination of key schemes and achievements of the government, and use of media and social media, according to a party release. "If the Yuva Morcha makes up its mind, no alliance or grand alliance can come in the way of the BJP achieving its goal of 'Sabka Saath, Sabka Vikas'," Mr Shah said. He claimed the the Modi government tried to raise the living standard of around 50 crore people through 129 pro-poor schemes.